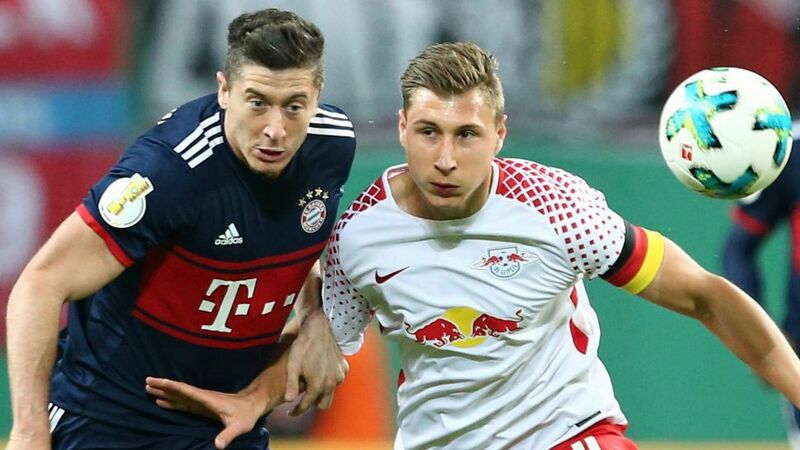 Bayern Munich and RB Leipzig are separated by only a point at the top of the Bundesliga as they prepare for the standout clash of Matchday 10. Along with early leaders Borussia Dortmund, the two clubs look set to battle it out for domestic supremacy this season, and yet their paths to the pinnacle of German football could not have been more different. Bayern are one of the genuine powerhouses of European football. Founded all the way back in 1900, the Bavarians emerged as Germany's pre-eminent side in the late 1960s and early 1970s, thanks to the exploits of their golden trio Franz Beckenbauer, Sepp Maier and Gerd Müller. They continued to enjoy success at home and abroad throughout the 1980s, 1990s and 2000s, while the current crop of stars recently pulled off the unprecedented feat of winning five straight Bundesliga titles. Overall, Bayern have lifted 27 German Championship titles, 26 of them in the Bundesliga era. To put that into context, they have finished top of the table in almost exactly half of the 54 Bundesliga seasons to date. They have a staggering 21 more titles than the next most successful Bundesliga clubs, Borussia Mönchengladbach and Dortmund, who have 'only' claimed five apiece. The Bavarian giants have also been crowned European champions on five occasions. Leipzig only came into being in 2009, and yet with the backing of Red Bull they have made a meteoric rise to the top, going from the German fifth tier to the Bundesliga and the UEFA Champions League in the space of just eight years. It will surely only be a matter of time before they are tasting the kind of success that has become as much a requirement as a reward over at Bayern. As they have scaled the heights of Germany's footballing pyramid, one of Leipzig's great strengths has been their investment in youth. In recent seasons the club has championed a policy of signing players under the age of 25, and the results have been spectacular, with the likes of Timo Werner, Naby Keita and Emil Forsberg inspiring the Saxony club to their incredible debut top-flight season. Bayern's policy in recent years has been to bring in players who have already made a name for themselves elsewhere, such as James Rodriguez, Thiago, Mats Hummels and Robert Lewandowski, often weakening their Bundesliga rivals in the process. The prospect of playing for the biggest club in Germany and enjoying regular Champions League football has enticed many a talented footballer to Säbener Strasse. The downside of that approach is that Bayern's up-and-coming talents are rarely given the opportunity to shine, meaning it has been several years since a youth product broke into the first team. Bayern are no longer churning out world-class stars such as Hummels, Thomas Müller, David Alaba, Bastian Schweinsteiger and Philipp Lahm - and, in a country renowned for measured spending, that could eventually pose a problem as transfer fees continue to skyrocket. To address that very issue, Bayern inaugurated the FC Bayern Campus at the start of this season, with president Uli Hoeness admitting that the club were keen to "improve in an area where we haven't done such a good job in recent years." He added that "the Campus might be Bayern's answer to the current transfer madness and wage explosions." Leipzig are similarly keen to improve the output of their youth academy, which goes hand-in-hand with their policy of fostering young talents. They have also made the most of their partnership with sister club Red Bull Salzburg, with a stream of first-team players including Keita, Peter Gulacsi, Bernardo, Dayot Upamecano and Stefan Ilsanker all making the switch from the Austrian to the German Bundesliga in recent years. Another way in which the clubs differ is structural. Bundesliga teams are governed by the '50+1 rule', which states that a club must hold a majority of its own voting rights. This allows members to vote on important decisions and reinforces the links between clubs and the local community. The only exceptions are clubs who have enjoyed sustained investment from an individual or major company over the past 20 years: Hoffenheim (Dietmar Hopp), Wolfsburg (Volkswagen) and Bayer Leverkusen (Bayer AG). In Bayern's case, then, close to 300,000 subscribed members all have a say in how the club is run, such as when nearly 7,000 of them voted to restore Hoeness to the presidency in November 2016. Bayern is also keen to maintain close ties with members, which means that once a year players are dispatched to local fan clubs to spend a few hours meeting and greeting supporters. The Bavarians' annual appearance at Oktoberfest has also become a cherished tradition. Leipzig, on the other hand, have fewer than 20 official members, with the club favouring a more restricted voting membership over the standard model. Quiz: Think you know a thing or two about RB Leipzig? Prove it! It is just one more fascinating difference between the clubs that highlight the alternative routes both have taken to reach the top of the tree. And while Leipzig are just beginning to arrive at that peak, the Saxony-based side still have a monumental way to go in terms of titles won compared to Bayern. But that won’t stop one of the league’s newest pretenders stepping up to the challenge laid down by Germany’s most successful club in what looks set to be a rivalry that will light up the Bundesliga for years to come.